The outgoing ER-6f was already a very popular bike and thankfully Kawasaki haven’t felt the need to radically alter it, rather improve its slight failings and make a good bike even better. The new chassis and looks are improved and the fairing adds an element of practicality that its naked brother, the ER-6n, is lacking. The seat height is low, engine punchy and fun and the handling light. In or out of town, the ER-6f is a brilliant commuter and a great first big bike. What’s not to like? 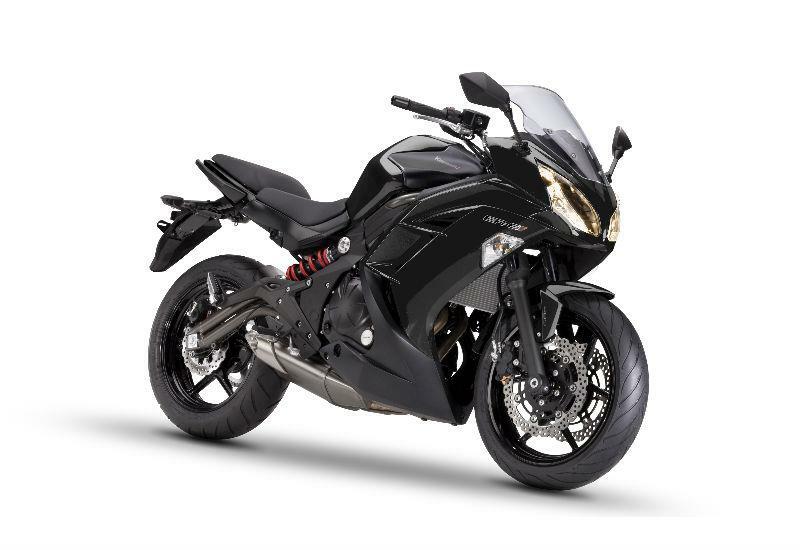 With its suspension slightly firmer than the ER-6n, the ER-6f feels a touch sportier to ride. In town it is just as adept at absorbing potholes, however when the pace increases outside the city’s streets the ER-6f is surprisingly agile with predictable, stable and light handling. The fairing is reasonable effective at deflecting the worst of the weather and more importantly it gives the ER-6f a cool sporty look. Like the ER-6n, anyone over 5ft 2in will have no problem reaching the floor, making it a very reassuring bike to ride at low speed. 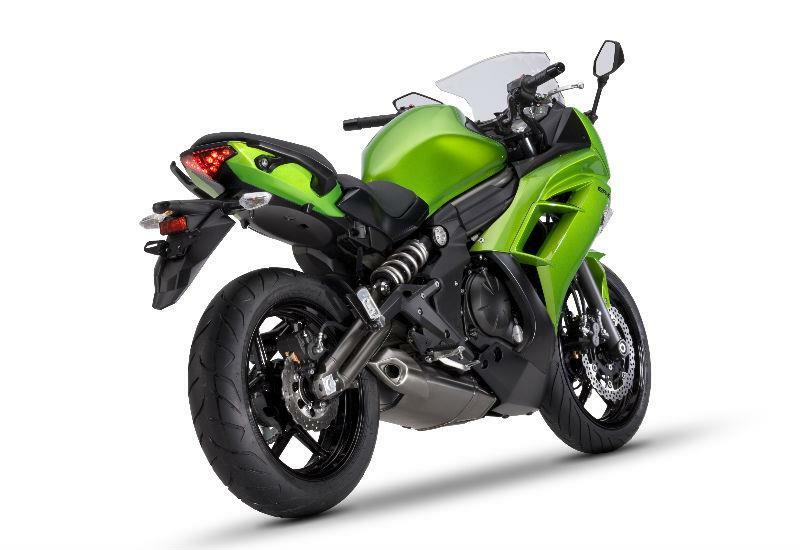 The small changes Kawasaki have made to the ER-6f’s fuel-injection settings and ECU have increased the parallel twin’s spread of torque and made it feel even punchier and quicker to accelerate. There is a different rasp from the more angular exhaust and the 650 fires off the throttle with near-perfect fuelling. For newer riders the engine is friendly when needs be, yet get it going and it is deceptively fast which is satisfying for more experience riders. It’s not intimidating in the least, just faster than you would expect of such a relaxed machine. The engine is reliable but the build quality and finish can often come in for criticism and the fairing is known to rattle. Whether you want a capable commuter or a bike for weekend thrills, the ER-6f can give you both. It may 'only' be a 600 but it's a bike that's accessible and fun for everyone. The dash has a fuel gauge, eco mode display and the petal discs are a nice touch. ABS is an optional extra. Launched in 2005, the ER-6f was updated in 2009 with revised frame and styling. 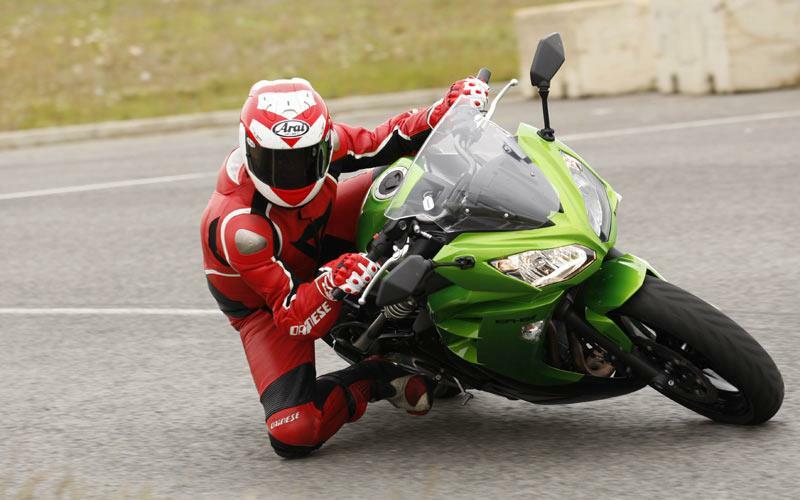 10 owners have reviewed their KAWASAKI ER-6F (2012-on) and rated it in a number of areas. Read what they have to say and what they like and dislike about the bike below. Best feature is the engine, strong mid-range & top end performance, rev-happy and properly quick if you ring it out. Good MPG but quite a small tank, just 16 litres. Less good is the one-piece exhaust as it stops me just swapping just the can. I've got used to no gear indicator but in this sector of the market, there's no excuse for it not being standard fit. 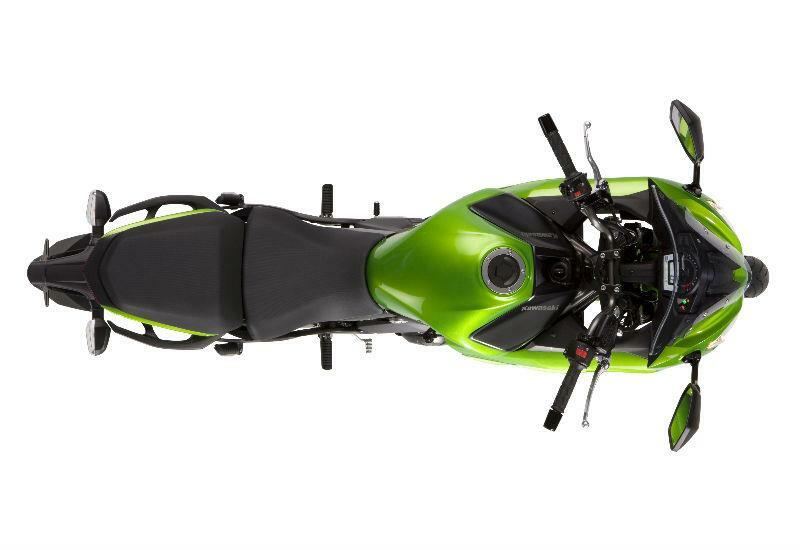 ABS is not standard & the brakes are not the bike's best feature as they are built to a price. Wavy front discs are a nice touch though. Punchy, revvy & very fast for a mid-range big bike. Less buzzy than older ER6 models due to revised rubber mounts etc, but still quite vibey at times. It's a brilliant power plant, but doesn't sound very special. No problems in first 5,000 miles, hope it continues thus. bought new from a dealer, typically average experience. Deceptively quick and corners beautifully, a great do-it-all machine. Good points: punchy engine that loves to rev, low running costs, makes a great sports bike or sports-tourer. Bad points: doesn't make a great sound & exhaust is a daft one-piece so you can't just swap the can, fuel tank a bit small. Overall a great, friendly and fast bike. Strong engine, front forks a bit low-rent but great value new or used. The do-it-all midrange sports commuter! What a fantastic bike, having ridden many bikes (KLE500, Transalp 650, Fazer 600, BT1100 & Pan European 1100) I wanted something that could do it all. Commute, city riding, thrashing day trips and touring. This covers all bases very well. 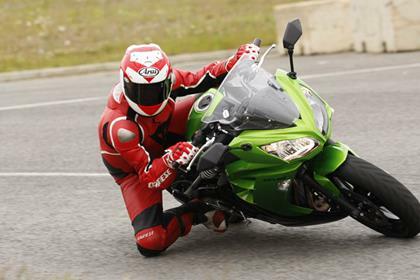 It looks great first off, pulling off a sports bike look but feeling upright and comfortable when riding, it is extremely agile and flicks side to side very well making overtaking, filtering and slow maneuvering ( without the fear of dropping it) a breeze. Being a popular bike there are many options and accessories to add making it very adaptable and customisable to suit your needs. Being 6ft 2' I was vary I may feel cramped but it is not an issue, I have ridden 150 miles in one stint without cramping up. I recently took the bike to the Isle of Man TT fully loaded with soft panniers, having been a few times before I was able to hold off a bunch of 1000cc Sportbikes over the mountain section, it's midrange torque giving it a big advantage accelerating out of the corners. I would recommend this to any rider, being new or experienced, its an instantly usable and very friendly bike to control and enjoy. I'm yet to slam the brakes on to test the ABS fully, but the twin discs have done a grand job up till now, no complaints. Suspension a bit soft at first, which is easily adjusted. Very comfortable riding position, wind blast can be intense at motorway speeds but the screen is adjustable and aftermarket screens are available! I love the engine, 70bhp on a light and nimble bike?! Glorious! Its midrange is great, 3000-7000rpm and it pulls really really well with a low grunt, I easily equal my friends 95bhp Fazer 600 in acceleration as he has to hit 6000rpm before his starts going. Riding like a thug the ER6F hits 70mph in second, 90mph in third. I've currently hit a top speed of 120mph but haven't had the chance to scream it for longer than 10 seconds. Being sensible the bike purrs in 6th gear at 60mph at 4000rpm, 70mph at 5000rpm and 80mph at 6000rpm. Redline is 11000rpm. My only minor complaint is a tiny flat spot around 3500-3700rpm in 3rd or 4th when commuting, however this may just be my bike. Fuel economy is okay, for all types of riding combined I am averaging 55mpg. Riding economically (55mph in 6th gear) I got 210 miles out of the tank. No reliability issues at all. The only minor issue is one of the fairing does not quite lineup on the right hand side leaving a tiny gap (few mm, hardly notice it), compared to the left side. Otherwise all other components are spot on, feeling solid and secure. Treat it with ACF50 and you won't get corrosion. Servicing to keep the warranty is a con, especially as they overcharge you for basically looking at the bike and prodding it. But has to be done 'just in case'. I have changed the oil and filter a few weeks after its service after they used 'Basic workshop oil' as stated on the receipt, I wanted some good quality stuff in my engine from Castrol. I've raised the windscreen but may add an aftermarket one to eliminate a bit more wind from my face. I added a fender extender as the stock length is useless, it now does a great job. I added a radiator guard which was fiddly but now looks and works well, before I added it a few stones had already made a few dings in the radiator thanks to the crappy stock fender size (mudguard). I have added a top box for practical issues, I use this bike everyday. The stock tyres are satisfactory, having tipped it into a corners on the Isle of Man TT mountain section at 105mph they held just fine. However I don't feel as confident in the wet, I get less feedback from them, I may change to Michelin road Pilot 3/4 soon. Bought from a dealer brand new at 0% finance with a £99 deposit, excellent! Shifting gear box is clunky, specially 1, 2nd and 3rd gear. It feels horrible. Very confortable bike for long trips. The engine needs to be minimum at 5k RPM before anything happens. The shifting gear box definitely needs to be improved. Shifting gears feels horrible, specially 1st, 2nd and 3rd gear. Is is not a smooth gear box at all and becomes uncomfortable at some point. 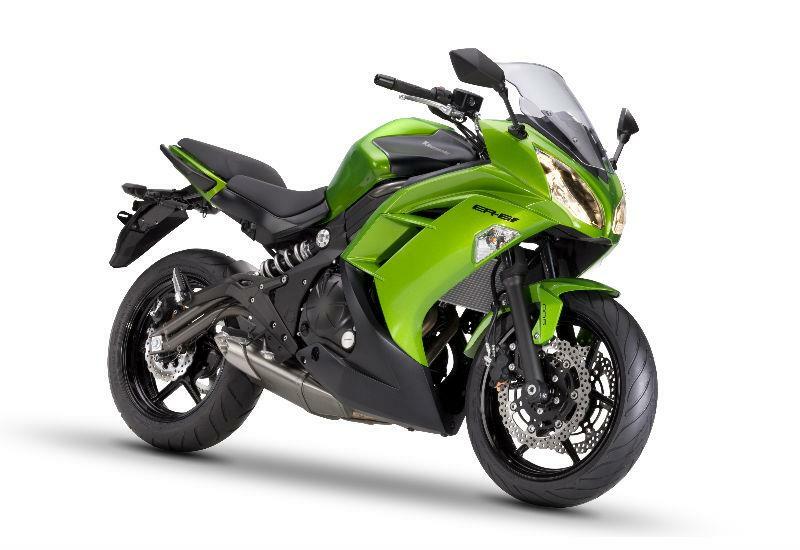 You end up paying attention to the shifting instead of focusing on driving and enjoying the ride as it is supposed to be in a sport bike like this. Dash is ok but needs gear shift indicator and outside temperature as well as a engine temperature gauge. Better Than Your Lead to Believe !! I would definitely recommend this bike to anybody! Great to ride what ever your riding experience, surprisingly quick through the bends, I have embarrassed litre bikes before! the zero to 60 dash is under 4 seconds, zero to 30 is a little over 1 second, not much stays with you from the lights. ABS should be standard and not extra IMO, and the standard exhaust looks great but sounds average, it's also a one piece design so is pricey to change. Comfort is first class, town or A/B roads are a blast. I'm loving this bike ! Grunt in any gear, I've set off in 3rd before there's that much torque. Smooth engine, I've never noticed any vibrations to talk about, the inline fours I've ridden vibe more. Doesn't run out of pull until you're up near the redline. I had to give up bikes more or less straight after passing my test 25 years ago having only ridden 125's and decided to go back to biking only recently after promotion at work. I would recommend this bike to new/returning riders to get used to riding a larger machine as it isn't insanely quick, but has a decent amount of go for the rider to be able enjoy the experience of a blast out on main roads and get the 'big bike' experience but it also has a wide range power and therefore is gentle and forgiving when pottering around town. It handles well, looks sporty and is quick enough for the roads (not sure about a track day though). I would have preferred the version with ABS for that extra added safety feature however I don't tend to ride in the wet. I would recommend fitting crash bungs on it as I had a minor 'off' whilst going slowly round a roundabout and the scraped engine case and faring cost my insurers over £1500 to fix I will look at a more sportier bike in the future now I've got the bug again - perhaps a ZX6R! Thumpy, throaty parallel twin may not be to everyone's liking and takes a bit of getting used to and I find that the vibe through the grips can make my hands go numb after a while however it pulls strongly from low revs without cog swopping and has a good powerband for swift safe overtaking - I would however have preferred an inline 4 just for the noise! I have had a few different bikes, Sportster 883, GPZ1100, Yamaha Thunder Ace 1000cc. I purchased this bike because I wanted a light weight, comfortable bike that would be fun to ride on weekend blasts, but easy enough for everyday use. All I can say is I am blown away by this bike. Its so easy to ride, very quick from a standing start, and can be flicked left and right through the twisties. I know this bike is listed as a first big bike, but don't let that put you off, its safe for a new rider, but fantastic fun if you want to push it. I have now problems keeping up with all the lads on their bigger bikes, especially when on a bendy road. Get one, you will love it. I've had about 3 ER-6Fs over the years among other bikes. It was my first and after a detour around some other bikes, I'm now back with one. I traded in a ZX-6R to go back to it. So lets compare, I do miss the top speed and it doesn't corner anywhere near as nicely. But... it doesn't do that bad of a job and it's still stupidly quick off the line in the low speeds. But with its upright riding position, its so much more comfortable, along with a quite comfy seat, including pillion. Filtering and commuting through traffic is so easy with its great turning, light and nippy body. With a few extras it's also a nice baby tourer, with top box and givi side panniers - When fully loading though, be prepared to adjust lights and preload - but once done gets the job done. Now for the negatives, The Mirrors. ... Get mirror extenders, otherwise the mirrors are awful. Once done though, they're acceptable. The stock factory tyres, they're not particularly grippy in the wet or even dry. The negatives, are the mirrors. They are awful. Get mirror extenders for them as a priority. Also the stock tyres are pretty terrible in the wet too. Anyhow, great starter bike, commuter, baby tourer (With addons). Not a good sports bike, but then it isn't one, even though has the looks. Back to biking after 23 years, after a BIG crash. Bought this bike to ease myself back in, and what a GREAT little machine it is. You get what you pay for + SOooo much more! It's got a punchy little engine that gets you to 60 in a little over 4secs. It's good for just under 130mph. If you cruise with the eco light on (Under 6K revs = approx 80mph) it'll return 60mpg! Sporty looks, with an upright, comfortable riding position. The only thing I didn't like is/was the sound of the parallel twin engine. Aftermarket Scorpion = Job done! Happy to recommend this as a first big bike to anyone recently passing their test, or as a fun/comfortable/economical/cheap insurance bike for leisure & commuting for the seasoned rider.